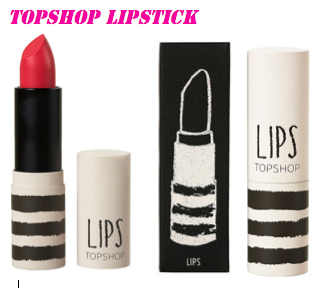 I have recently just brought my first Topshop lipstick in the colour ‘Brighton Rock’ and I have to say it is amazing. Being a Mac lipstick lover I didn’t know if I would enjoy Topshop’s range as much as I love Mac’s, but these lipsticks are so pigmented and last a long time. Mac’s lipsticks are quite expensive at £13-£14 each, I thought it was time to find a cheaper alternative. These lipsticks are £8-£9 each and have the same high quality of a Mac lipstick. The colour I brought was ‘Brighton Rock’ and it’s a bright pink but not too bright, I wear it with a smokey eye and a light blush. It stays on all day and I only have to top up on my lipgloss, I use a light pink gloss which gives a gorgeous shine. These lipsticks are really easy to store because they have a flat base and a flat lid so they are really easy to stand up and pack away.